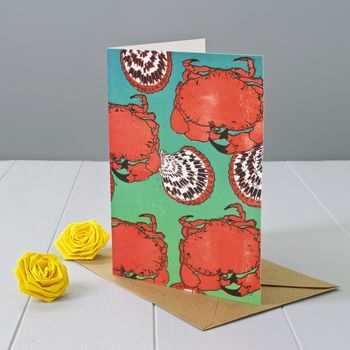 A lovely art greeting card with crabs and scallops to celebrate life's many occasions. The greeting card is a reproduction of a hand-carved linocut by us. You can choose to get this card posted directly to the recipient, which is great if you are in a hurry or live abroad. Just choose the option to get the card send directly and we will write your chosen message inside the card exactly as it is specified in the text box provided. Remember to change the name and the delivery address to the recipient at the checkout. Printed in the UK on a good quality 300 gsm card with FSC certificate. 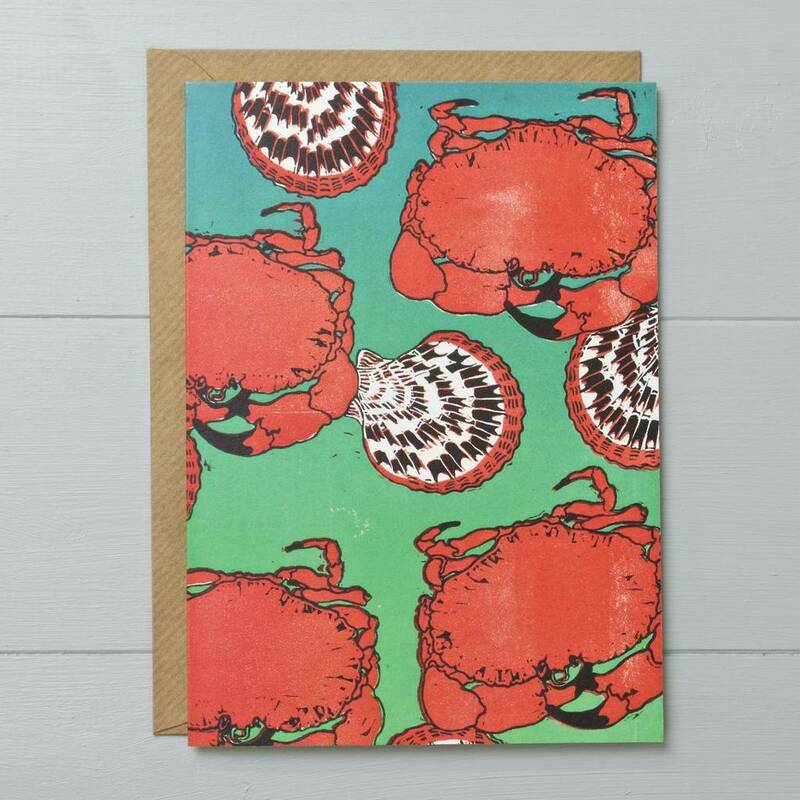 The card comes with a brown kraft envelope in a cello bag (unless sent directly to the recipient in which case it will arrive in its brown envelope). PLEASE NOTE: the brightness and the colours on the card can be slightly different than what you see on your computer/tablet/mobile screen. This product is dispatched to you by Yellow Rose Design.